Toccoa Falls College received a B.
Washington Monthly's ranking of 161 out of 346 of Baccalaureate Colleges - Overall Rank was a major contributor to this grade. Located in northern Georgia about 100 miles from the sprawling metropolis of Atlanta, Toccoa Falls College is a liberal arts institution with a religious orientation. About 800 undergraduate students study here, the majority of whom concentrate in fields of religion or education, or a combination of the two. Interesting student groups on campus include mime and puppet teams. What are the top 3 reasons someone should attend Toccoa Falls College? The beautiful campus, the small class size, and the free counseling available are three of the things I most love and benefit from at my college. What is a typical Toccoa Falls College student like? Describe the type of person that should attend Toccoa Falls College. Toccoa Falls College is a Christ-centered educational institution that prepares men and women for vocational and professional occupations. 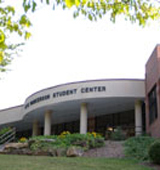 The college is located in the foothills of the northeast Georgia mountains. TFC currently offers 27 majors and 40 minors within three schools: Professional Studies, Arts and Sciences, and Christian Ministries. Graduates serve throughout the United States and around the world fulfilling the dream of founder Dr. R. A. Forrest, who said: "The sun never sets on the graduates of Toccoa Falls College." What are the top 3 things that students do for fun at Toccoa Falls College? Cliff diving at a rock quarry, hiking to various waterfalls, (three of which are on or connected to campus) and watching movies at neighboring Habersham theatre. Campus housing is available for undergraduates. Housing deposit : $200.00. Housing deposit is refundable in full if student does not enroll.. Freshman allowed to have car. No pets. The average student pays $16,922 for tuition, fees, and other expenses, after grants and scholarships. Total stated tuition is $18,500, in-state and on-campus, before financial aid. Learn more about financial aid at http://www.tfc.edu/admissions/financial-aid. Estimate the net price for you at http://www.tfc.edu/admissions/financial-aid/npc. Want more info about Toccoa Falls College? Get free advice from education experts and Noodle community members.